Michigan joined the Big Ten Conference in 1982. 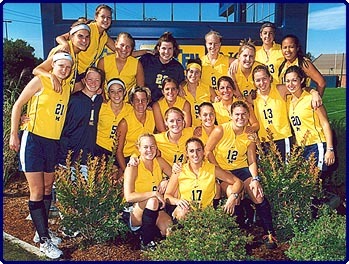 Michigan also competed in the Michigan Collegiate Field Hockey Conference, 1989-1991. Prior to 1982, U-M competed under the auspices of the Michigan Association of Intercollegiate Athletics for Women. * 1989-1991 UM played in the Midwest Collegiate Field Hockey Conference. Other conference results are for Big Ten Play.